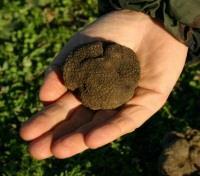 Private truffle hunting experience in the Sibillini Mountains. Embrace curiosity and whimsy as you immerse yourself in small town Italy. Embark on a rafting excursion through a lush forest park. 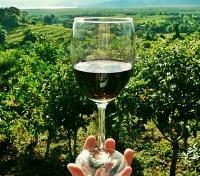 Visit vineyards and olive groves with private local experts. Premium accommodations as selected by destination experts. For the experienced Italy traveler, reignite your sense of wonder in Umbria. From lush green pastures and parkland to traditional small-town life, discover a new side of the country, tucked out of sight between Florence and Rome. Eat, drink, and discover Italy away from the crowds as you embrace the interior region of Umbria. Visit local farms and vineyards, search for prized truffles in the foothills, raft through dense forest, and meander through alleys and lanes where small-town life prevails. A new experience or revelation awaits around every corner. With the help of a private guide, find a whole new appreciation for the country you thought you knew. Meet your private driver at the airport for a transfer to Norcia. Approximate travel time is 2.5 hours. Located in the Parco Nazionale dei Monti Sibillini, Palazzo Seneca is the perfect setting for an unforgettable stay in Norcia. This impressive hotel, set in a 16th-century Umbrian Palace, exudes elegance and charm with its impeccable interior design, the product of the best Umbrian artisans. Guests will be delighted with a gastronomic experience inspired by local ingredients such as the black truffle in the hotel’s on-site restaurant. Being just a minute’s walk from sites like the Museo della Castellina and a short drive from the Abbey of Saint Eutizio, this hotel truly provides guests with the best opportunity to explore the historic town of Norcia and province of Perugia. Meet your private driver and English-speaking guide, and set out for a brief drive into the nearby Sibillini Mountains National Park where you'll meet up with a professional truffle hunter and his trained dog, embarking on an amazing private truffle hunt experience today. With the helpful translation of your guide, you'll follow this trained hunter and his expert dog on a pleasant mountain walk, discovering natural secrets and botanical information of this precious land’s product as you look for the prized black truffle, a delicacy which can be found in this region with the right combination of skill and luck. Watch the dog sniff out the territory and hopefully lead everyone to a fungal jackpot! Afterward, another genuine Umbrian experience awaits, as you head to a local farm where you'll be introduced to the process of making Ricotta cheese, as explained by the farmer. Conclude your tour with a transfer back to Norcia. With your private driver, set out on a 1 hour 15 minute transfer to the Marmore Falls, the tallest man-made waterfall in the world, created in antiquity by ancient Romans. It's here, near the base of the falls where you'll meet up with a professional private rafting guide and embark on a relaxed Category 1-2 soft rafting excursion. 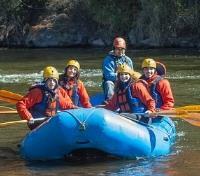 You'll be geared up with a wet suit, aqua boots and life jacket, and then go through a complete 30 minute briefing prior to going to the start point in the river for an ultimate rafting experience through gentle category 1 and 2 rapids, passing through beautiful Umbrian forest scenery on both sides. At the conclusion of your rafting journey, you'll have warm showers and changing rooms at your disposal before returning to Norcia. Today, meet your private driver for a transfer to Perugia. En route, you'll make a stop at the famous Arnaldo Caprai Winery to enjoy a private visit of the estate and its vineyards, followed by a selection of wine tastings with an expert sommelier. Discover the subtle notes and learn of the terroir of Umbria as you taste the different specialties. Continue your transfer, stopping once more in the countryside of Assisi, where you'll arrive at a local stone farmhouse and olive oil producer, surrounded by 9 hectares of olive trees. Here you'll meet up with a local expert and embark on an educational walk through the olive grove in order to provide you with an understanding of the processes involved in making virgin olive oil. Discover the way the land is worked, and how much the farmers care about the landscape and environment, before being treated to a private tasting with a professional extra virgin olive oil taster. Discover hints on how to recognize a high quality EVO oil, followed by a charming lunch provided for you on site. 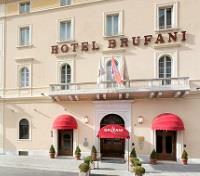 Complete your day on arrival to Perugia. With a panoramic view of the lush Umbrian valley, Sina Brufani boasts the perfect location for a luxurious stay in Perugia. This impressive hotel is found in the heart of the medieval city, close to the Duomo, Fontana Maggiore, Galleria Nazionale and Corso Vannucci with its elegant shops. The moment guests walk through the front door, they will be welcomed by a charming and inviting atmosphere decorated with classic materials in a traditional style reminiscent of the aristocratic past. The combination of unique tastes and Umbrian tradition are tied together in the hotel’s on-site restaurant. Experience for yourself the charm that has brought countless celebrities, heads of state and royal family members to this spectacular hotel. 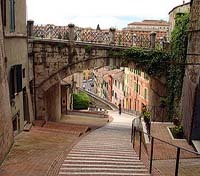 Meet your private guide at your hotel and depart on foot for a walking tour of the medieval hill town Perugia, the capital of Umbria. You'll spend your time in the historic old town, still partially enclosed by Etruscan fortified walls built over two millennia ago. Step out into the stunning white stone Gothic square of Piazza IV Novembre, where you'll spot the 15th century Perugia Cathedral, and admire the impressive early 15th century Priori Palace. Lose yourself in the ornate reliefs carved into the 13th century marble fountain, Fontana Maggiore, at the center of the square. You'll then meet your private driver and set out to Gubbio, one of the oldest towns of Umbria. On arrival, you'll explore the cobbled streets of the ancient town center. With such a charming place, there's no wrong way to spend your time here - there's eye candy and picture-perfect views around every corner. Continue to Assisi, and discover Assisi's city center, admiring several of the stunning squares, and lanes of stone-built houses. Take in the Temple of Minerva, with its 2,000-year-old columns and facade well preserved, and spot the Assisi's ancient amphitheater, which has been adapted in modern times to a garden. 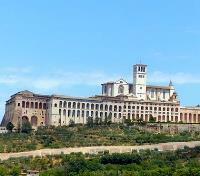 The undisputed highlights of Assisi are the UNESCO World Heritage-listed Franciscan structures, including the massive 13th century Basilica of St. Francis and its adjoining friary, representing the iconic visual as you approach the city. You'll visit the Basilica, one of the country's most important pilgrimage sites, featuring frescoes of respected medieval painters including Giotto and Cimabue. Conclude the day back in Perugia. Meet your private driver and embark on a full day tour today to Italy's Marche region where you'll get to push out beyond the standard tourist route, and explore Matelica and Macerata, which capture the essence of small town Italy. On arrival in Matelica, meet up with a private local guide. Embrace curiosity and see where the moment takes you as you wander through the historic center, spotting ancient mosaics, and walking amidst alleyways and structures dating back largely to the middle ages. A must while in Matelica- you'll visit the opera house, Teatro Piermarini, built by the same architect who designed La Scala in Milano. You'll have unique access to the area beneath the stage where you'll find very well preserved Roman baths. 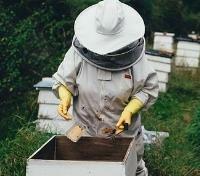 Leaving Matelica behind, head outside of town for a special experience as you visit a local bee farm and honey producer. Spend time with the bee keepers to discover the various stages in the process of honey and bee production, followed by a quaint lunch including tastings of various honeys produced by the bees on site. In the afternoon, continue to Macerata where you'll meet up with your new guide for a private walking tour of the historic old town. Keep your eye out for the Renaissance-era Loggia dei Mercanti with two-tier arcades, and enjoy a visit of the 19th century Sferisterio, a stunning open-air opera arena presenting a very unique performance environment for crowds of over 3,000 spectators. Conclude your day back in Perugia. 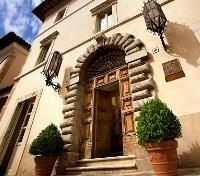 Today you'll leave Perugia behind, transferring with your private driver to Cortona. One of the most impressive features of Umbria is the unique charm and character found in many of its small towns. En route, you'll make a short stop in the tiny 14th century hamlet of Solomeo, brought back to life by luxury designer Brunello Cucinelli, the King of Cashmere. Take 30 minutes here to walk around and explore the quaint old town independently before continuing on to the nearby village of Passignano sul Trasimeno, perched on a small hill sloping down to the shores of Lake Trasimeno. Enjoy a lengthier stop here, allowing time for you to stroll the medieval town, and perhaps find an ideal spot to grab a bite at your leisure, overlooking the water. 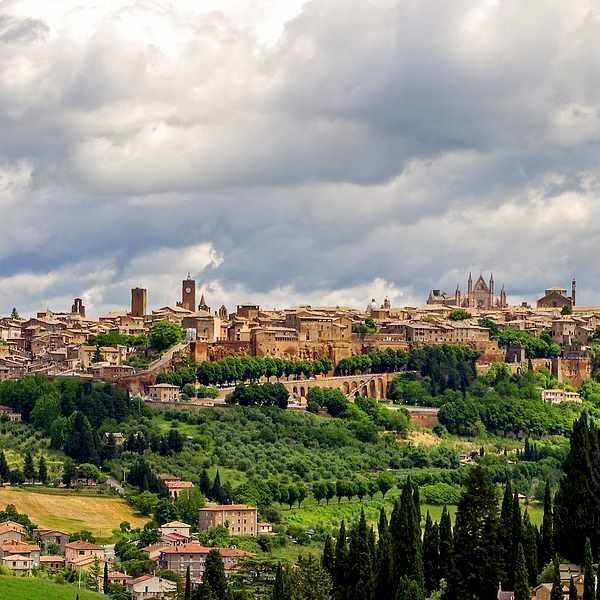 After, join back up with your driver and continue to the Tuscan city of Cortona, where you'll meet up with a private guide and embark on walking tour of the old walled city, spotting plenty of Renaissance architecture from the 15th and 16th centuries. 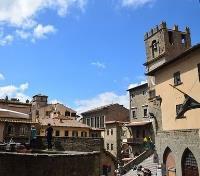 Cortona has seen many shifts of power since its humble beginnings, leaving a history of influence spanning the Etruscans, Romans, Byzantines, Ghibellines, Kingdom of Naples and the Kingdom of Italy. See which layers you can peel back before concluding your day with a drop off at your new hotel. The Relais Il Falconiere is a charming house kept in the heart of the Tuscan countryside, where the hills give way to the enchanting Etruscan hill-town of Cortona. Once home to the famous Italian poet Antonio Gaudagnoli, this ancient 17th century villa has since been transformed into a jewel of hospitality featuring a Michelin star restaurant, a wine resort and exclusive spa, offering a small world of charm suspended in time. Guests are invited to choose their own corner of their heart. 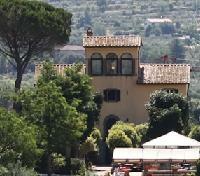 The rooms in the old villa, which preserve the intimacy of a stay in the main house, while others are located near the little chapel or adjacent to the Spa. For a romantic stay, small cottages are sprinkled about the property. 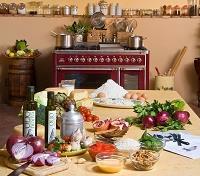 Enjoy a private cooking class with expert chef as you cook under the Tuscan sun, at Il Falconiere. In a carefully designed kitchen made to make you feel as though you're cooking in a home rather than a sterile cooking school, you'll learn how to cook authentic Tuscan cuisine, using local ingredients selected personally by your instructor-chef, with a focus on health and ethical land use. The chef's aim is to inspire you and transform your way of thinking and approach to food. It doesn’t matter your skill level, just be ready to participate and enjoy the experience. Following your cooking class, you'll have a seated lunch in the charming dining room, enjoying the food you have prepared. Bon appetit! Meet your private driver today for a transfer to Rome.En route, you'll make a stop to visit the beautiful Avignonesi Winery where you'll be provided with a delightful Tuscan wine tasting and lunch, served on the panoramic terrace or the cozy indoor dining room, depending on the weather. With its vineyards, villa, chapel, and ancient stone wine cellars, the Avignonesi Winery offers a stunning ambiance. 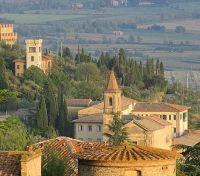 Afterward, you'll continue to nearby medieval hill town Montepulciano, where you'll meet up with a private local guide for a walking tour of the pedestrian-only old town. 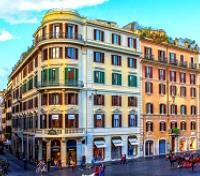 Explore its charms on foot, strolling the main Corso, leading to a number of narrow alleys and lanes. Admire elegant palaces and historic churches, and head to the Piazza Grande, a beautiful main square surrounded by expressive architecture. 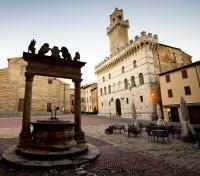 Climb up the square's clock tower in the 14th century Palazzo Comunale and enjoy a stunning view over the town. Afterward, continue to Rome for check-in. Formerly a stately 18th century home, The Inn at the Spanish Steps has been fully renovated with modern comforts, offering a boutique hideaway in the very heart of Rome. 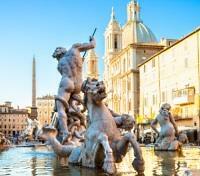 The unbeatable location of this charming hotel allows guests to walk to world famous sites such as the Trevi Fountain and the Pantheon within minutes, not to mention the Spanish Steps that practically lead to the hotel's front door. With designer fashion houses as neighbors, and uniquely styled guestrooms and family rooms, guests will live in style while visiting Rome. 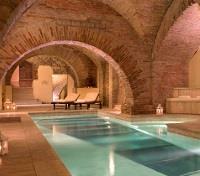 Listed as a national monument, this boutique hotel will only enhance your historic experience in the Eternal City.